At Andaz Delhi, we take an innovative approach to restaurants and bars that place an emphasis on consciously sourced ingredients and local artisans’ produce. Sample delicious local cuisine at AnnaMaya pour in an evening drink at the Juniper Bar and enjoy modern Cantonese cuisine at The Hong Kong Club. AnnaMaya is a modern European Food Hall which is inspired by the colours and flavours of India where food is served and interesting artisanal produce are available for sale. The menu is designed around consciously-sourced ingredients from local artisans who directly or indirectly contribute towards the well-being of society. #WeForWomen | Celebrating Women Artisans at AnnaMaya. 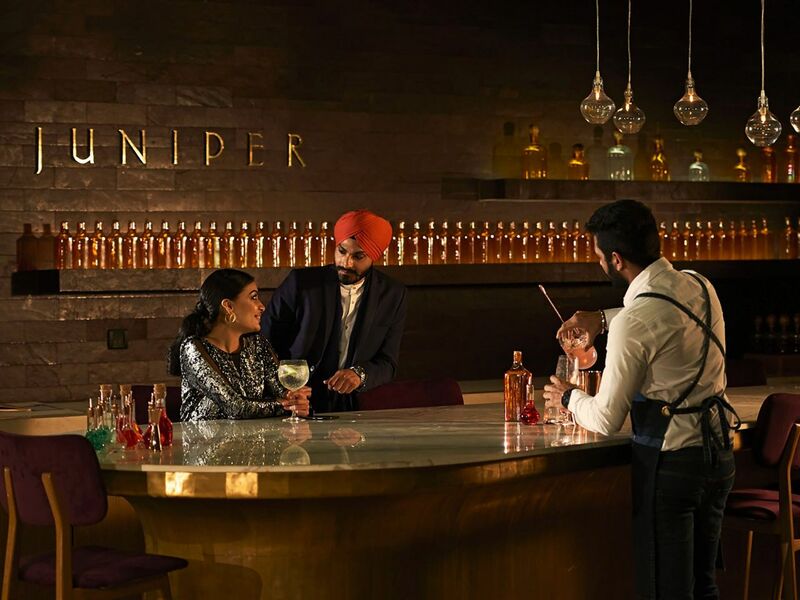 The perfect place to socialise and entertain friends and colleagues, Juniper Bar offers a wide range of all-day drinks and a diverse selection of 35 stylised gin and tonic infusions, all revolving around the botanical and medicinal history of juniper. 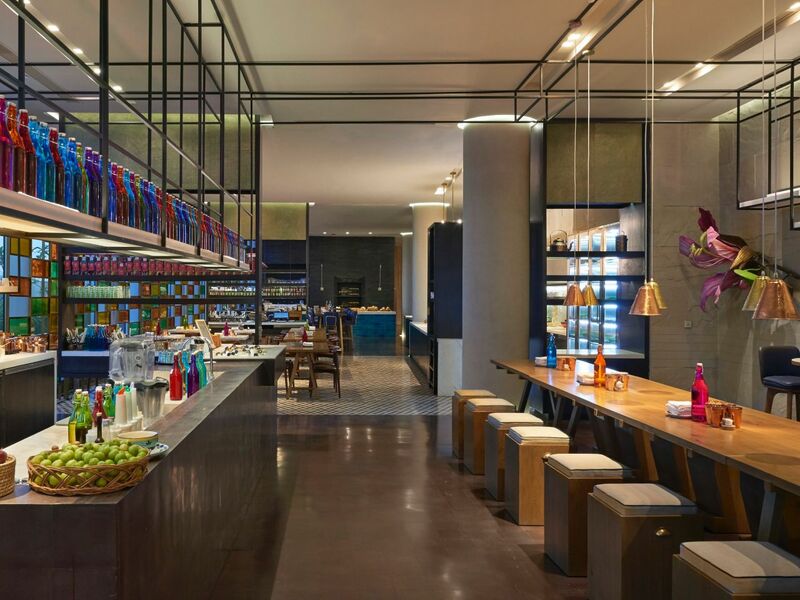 Enjoy a relaxed atmosphere at large communal bar tables, while interacting with our bartenders. Delight in a range of handcrafted cocktails inspired by the legacy of gin. Taste classic craftsmanship through the use of pure ingredients such as hand-picked herbs, fresh juices and carefully distilled liquors, complemented by the creativity and originality of our mixologists. Modern, Sustainable and Mindful echo the concept of Soul Pantry - inspired from the abundance of nature. The concept revolves around the story of the humble Seed because life begins with a seed. 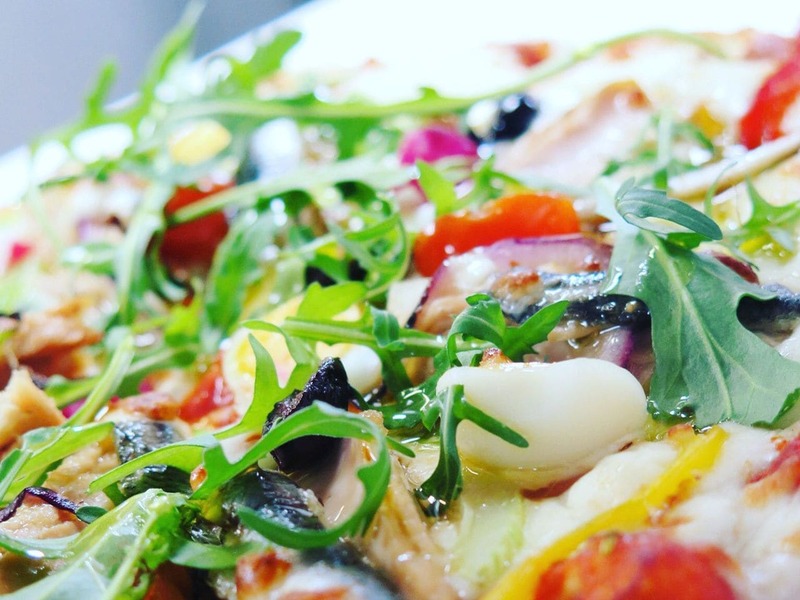 The Soul Pantry experience will showcase nutrition- dense flatbreads and salads. The star of the menu is grains- indigenous, forgotten produce. Healthy and fresh ‘wellness bowls’ will also be a part of the menu offering. Drinks menu include fresh juices, smoothies, and artisanal coffee. Our story is a celebration of the abundance of Mother Nature, rooted in sustainable sourcing of native grains and seasonal local ingredients. By inspiring sustainable and mindful living, we are, metaphorically speaking, feeding our guests’ souls. 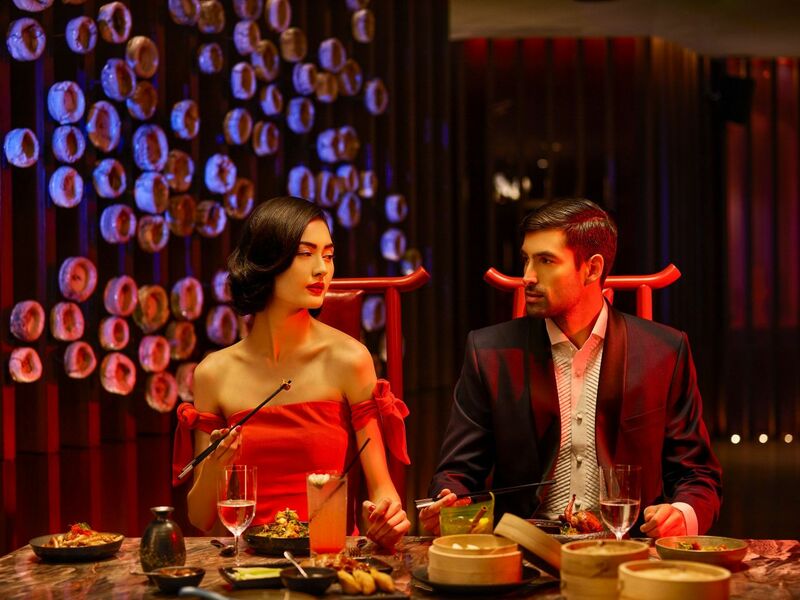 Inspired by the energy and striking contrasts of Hong Kong, this multi-level entertainment dining destination offers a bar, restaurant and lounge, featuring dramatic modern Chinese interiors that reflect deep chinoiserie. 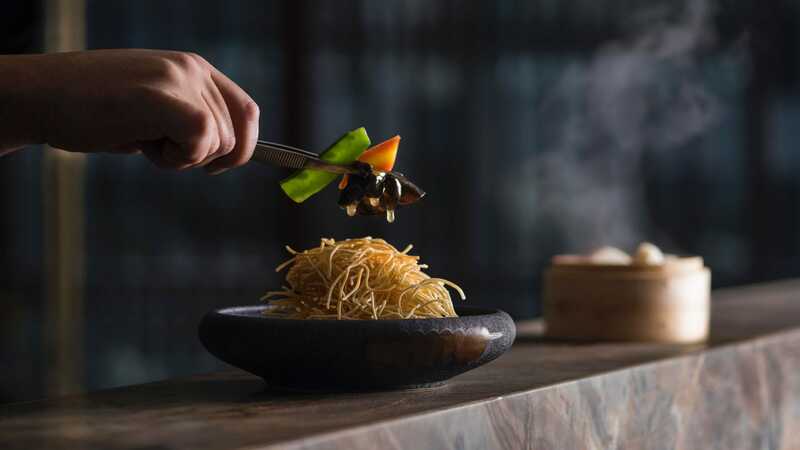 The Hong Kong Club offers a modern Cantonese menu with perfectly prepared dim sum, tasting menus and signature small plates inspired by Hong Kong-Cantonese flavours.